We are based in Lagos, a beautiful historic fishing town in the Algarve but this advice is relevant throughout all of Portugal. The most important part of buying a property in Portugal, is finding the right one. 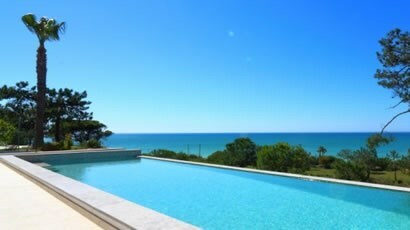 Whether you’re looking to buy an apartment, rustic farmhouse or luxury villa at property specialists Algarve we have a dedicated personal team to guide you through the process of purchasing that dream property. After you contact us in our head office in Lagos, we do an extensive intake with you to understand exactly what you are looking for. This chat can be done in our office or over the phone. When we know what you are looking for, we will ask you to come out to Portugal to do an extensive property tour with us, to show you the properties that fit best with your wants and needs. When you have found the property of your dreams, you will take on a lawyer/solicitor. You can choose from our panel of recommended lawyers. 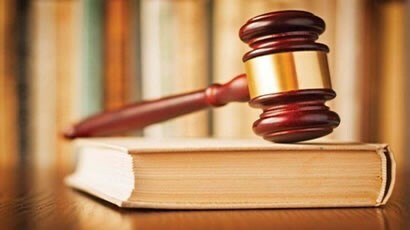 The lawyer carries out the due diligence, reports the findings to you and draws up the first contract. This document proves the property has been registered for tax purposes. 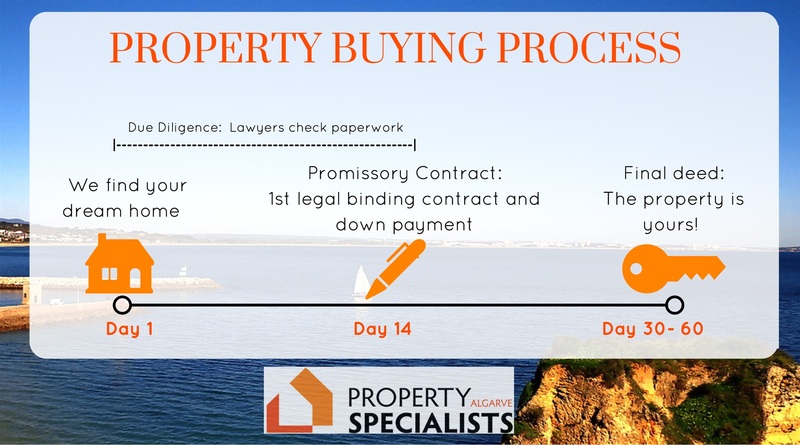 More information about the necessary documentation (to sell a property) can be found in selling process. The costs for a lawyer and other additional buying costs can be found in buying costs. This contract is made up by your lawyer and will be signed by you and the seller. On promissory contract, the deposit is paid. As this contract is legally binding, the deposit is non-refundable. If either party changes their mind, they lose the deposit to the other (for you this means that you lose your deposit if you change your mind, and that you get your deposit back double if the seller changes their mind). The Promissory Contract is signed right after the due diligence. What’s an Escritura or Final deed? 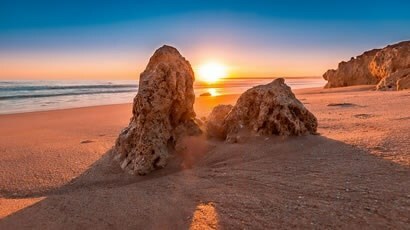 Do I need one for the legal process when buying property in the Algarve? About 30 to 60 days after the promissory contract (variable timescale depending on the situation), the final deed – The escritura – is signed and paid. This process involves the buyer, the seller, the buyer's lawyer, the seller's lawyer, the buyer's bank representative in case of a mortgage, and the notary. The final contract is in Portuguese. As the notary goes through every word of the contract with all parties, the lawyers can translate into English or other language. The remaining balance of the agreed purchased price is paid at this stage. The balance is always paid by cheque at the final deed. 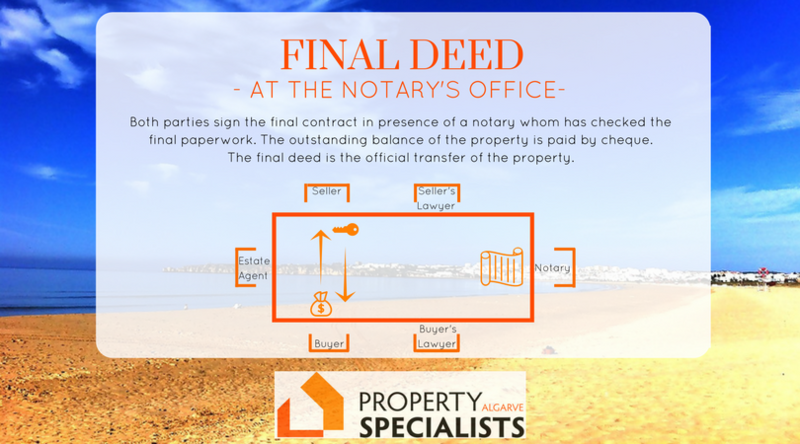 When both parties have signed and the cheque has been handed over, you are the legal owner of your new property in the Algarve! 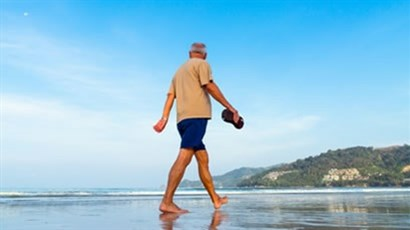 Portugal offers attractive schemes for non habitual residents and non-EU members to move to Portugal. For more information about the non habitual residence (NHR) scheme, please click here. For more information about the golden visa scheme, please click here.